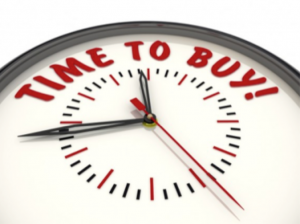 Ever wondered when to buy or sell a house? Home prices not only vary over time, but they can also vary over the course of the year. Supply and demand are big reasons why house prices change with the seasons. Summer has proved to be the most popular time to move and is a popular time for sellers to put their home on the market. While you’ll likely see more inventory in the summer, it’s the worst time to buy if your goal is to get the best deal because prices rise when demand increases. While this data suggests you should buy during the winter months, a lower supply of housing may mean it’s more difficult to find your ideal home. In fact, one reason housing prices may be lower in winter is that buyers aren’t able to find homes that match their preferences as closely with fewer houses on the market, so they aren’t willing to pay as much of a premium. If you can find a home you like in winter and pay less for it, this is a smart financial and personal choice. But if you aren’t able to find a home that’s a good fit, you’ll need to decide whether to settle for what’s available or wait until inventory expands as the warmer months arrive. At Surreal Property Group we proudly represent all the real estate needs of Bayswater, Wantirna, Knox City, Scorseby and surrounding areas. We are always happy to help those with questions and concerns in regards to the property market, so don’t hesistate to give us a call and speak to one of our lovely staff.